Tremors continue to shake ground in the field of television viewing since the start of this decade, especially with respect to how televised content is consumed. It is possible to say that the concept of television is being transformed. The move of Netflix away from rental of DVDs, delivered by mail, towards online streaming, seems to have signaled the start of this transformation which is affecting the consumers and the media industry together. Netflix is of course not doing it alone, changing how televised video content is made available to consumers — other digital services include Hulu, Amazon Prime, and YouTube, as better known examples. Many consumers, most of all Millennials, are attracted to having better control and discretion of what, how and when they watch video programming content of the kind we are used to associate with TV. Two primary shifts in TV viewing need to be considered: (1) watching less TV programmes in real-time; but more important and characteristic of the changes in the past decade: (2) watching less TV on the screen of a TV set in favour of screens of personal computers, tablets and smartphones. The first shift is not so new — watching a programme not at the time of its scheduled broadcast can be traced to at least thirty-five years ago thanks to the VCR (Video Cassette Recorder); later on came the DVD, but most DVD sets used by households were non-recorders. The popularity of watching TV content in shifted-time has increased somewhat more with the introduction of new devices and services, namely Digital Video Recorder (DVR) and Video-on-Demand (VOD). The VOD service has actually created new options for viewers to access a special video library and watch programmes or films that are not available on broadcast channels (not available at all or not at that period). The second shift noted is more closely associated with the Internet availability of video content, including TV programmes, that is not dependent on traditional broadcasters (networks, but also cable and satellite TV services). Whether the application for watching the content is web-based or a mobile app is less crucial to our matter. Streaming potentially breaks the tie between the televised content and the physical TV set (but that is an option, not a necessity). It is not surprising that new-age digital media companies that offer video content by streaming have been followed by the TV networks worldwide that now allow consumers to view their programmes online (viewing may be free or by paid subscription). As we look into greater details of various possibilities of viewing televised content, we may find that defining TV viewing is not clear-cut. For instance, if one is streaming the content of a programme (e.g., a comedy episode) ordered from Netflix to a laptop that is connected to a TV set (or streaming directly to a Smart TV), is he or she watching TV? Apparently, 79% of US streamers primarily stream the video content to their TV sets! (CSG International, Insights Blog, 8 Sept. 2016). Vice versa, if one is watching a programme (e.g., evening news) at the time of its broadcast but on a laptop by live streaming, is he or she not watching TV? It can be confusing. Consumers stream TV content of the type of TV series episodes (e.g., comedy, drama, crime), documentaries, news editions, as well as cinema films. The key to achieve greater coherence and consistency may be to define ‘TV’ by the kind of its programming content, not by the technology of devices or distribution platforms (BARB’s Annual Viewing Report: UK’s Viewing Habits, April 2016, pp. 6-7, also see pp. 8-9). Many consumers, mostly the younger ones (under 35), are turning away from fixed timetable TV programming. They are more selective in regard to the programmes they wish to watch at the time convenient to them. The choice of more savvy TV viewers is getting more in a form of cherry-picking. They may receive recommendations what programmes to watch from friends who have similar tastes or from the online content provider based on their stated preferences and past viewing behaviour (possibly adding what similar-in-kind programmes others are viewing). Consumers may choose to watch, for example, legacy TV series or programmes of a particular genre, as well as new selections of TV-type programmes produced independently by video content providers such as Netflix, exclusive to their subscribers. For consumers who have less leisure time it may also become a matter of efficiency in allocating their limited TV viewing time to the programmes they really want to watch, thus not being constrained by the programmes scheduled for those hours. People watch only a small portion of the channels available to them in their TV cable or satellite packages, and are less comfortable with their inflexible programming plans. TV viewers wander to other channels such as a VOD service of their regular provider or by streaming from online video content providers. When looking at ‘traditional TV viewing’, which includes live TV (aka real-time or linear) and adjunct time-shifted services like DVR and VOD(†), the number of weekly hours US young persons ages 18-24 spend watching TV has decreased across all quarters from a level of 23-26 hours in 2011 to a level of 15-18 hours in 2015, and further to 14-16 hours in 2016 (excluding Q4). In addition, when comparing between age groups, it can be seen that the 12-17 years (teenagers) and 18-24 years age groups are most similar to each other in the number of their TV watching hour(decreasing between Q1/2011 and Q3/2016) and are now even closer to each other than five years ago. There is a decline in number of weekly TV watching hours also in the 25-34 age group, and though more modest a decline, also among those ages 35-49, but there is no discernible trend in age group 35-64 and even a small increase among seniors 65 years old and above (based on data from Nielsen, visualised by MarketingCharts.com). Note that the band of weekly hours mounts as the age rises. Another chart summarises those differences more sharply: the number of hours spent watching TV per week decreased in the younger age groups (12-17 & 18-24) by 37%-40% in five years, 28% still in age group 25-34, and only ~11% among ages 35-49 (weekly hours increased 7% among 65+). Note: The original figures by Nielsen indicate that most traditional TV viewing time is still ‘live’ or linear, accounting for 85%-90% of time, and the rest goes to viewing programmes by DVR or VOD (figures of BARB for the UK indicate a similar ratio). † Clarification: ‘Live’ TV includes of course live programmes or events that are taking place and filmed as they are broadcast or transmitted, but ‘live’ refers here more generally to programmes that are viewed at the time scheduled by a TV company for broadcasting, to be distinguised from programmes watched at a time chosen by a viewer. One possible development is that the concept of VOD will be expanded dramatically. Statistics about streaming usage are still difficult to obtain. Figures brought by MarketingCharts from a less familiar source (‘SSRS’ online and mobile survey company) suggest that the number of hours Millennials spend weekly watching streamed content through various modes increased gradually and almost continuously in 2013-2015, though the overall level is still modest (~1.5 hours in 2013, rising up from 3.3 to 4.5 hours during 2014 until standing on a plateau of 5.5-5.7 hours in 2015). Research of the British Broadcasters’ Audience Research Board (BARB) notably shows that, other than the TV screen, personal computers (desktop/laptop) and tablets are the more frequently used for watching TV content on their screens, usually in the evening, while smartphones remain much less popular — smartphones are probably less accepted for TV viewing because their screens are too small to enjoy the images and are not convenient to watch for an extended time. Furthermore, with no evidence showing otherwise, it seems a greater part of time spent viewing not on a TV screen in the UK is still done at home (BARB’s Annual Viewing Report, April 2016, pp. 10-11). The more traditional TV networks and service providers (cable and satellite) have to acknowledge that the rules of the game in the TV domain have changed: “As both traditional service providers and streaming services alike are looking to engage viewing audiences and hold on to subscribers, catering to the individual needs of each viewer is increasingly paramount” (CSG International: Insights Blog, see their infographic of global content viewing trends). Indeed we can see that TV networks and service providers try to adapt at different levels of extent and pace to changes in the competitive environment and shifts thereof in viewing patterns of consumers. Networks are getting more deeply into the Internet space, availing at least some of their content to viewers by streaming on their websites or through mobile apps, and even greater programming content may be offered to customers by subscription (e.g., BBC iPlayer). Especially in the area of news, we see news websites inserting more video content into their reports, including live coverage. The cable and satellite service providers are working to enhance their channels and VOD libraries to bring content that viewers may be seeking by streaming (e.g., HBO) and thus dissuade customers from churning to other services. The media industry, most broadly speaking, sees a lot of movement in recent years. It seems that media companies, mainly the larger corporations, are trying to get into each other’s territory — TV (broadcast, streaming), digital media content (Internet & mobile), telecom infrastructure, TV and cinema production, etc. The new business and technology mixtures are created through mergers and acquisitions, accompanied by integration of different functions (horizontal and vertical) that will enable companies greater capabilities along the wider spectrum of the production and transmission of video content to consumers. Notably, there is emphasis on delivery of digital content through various platforms in combined modes (e.g., text, still images, video and audio). Content characteristic of TV programmes is just part of the media ‘basket’ companies are planning to offer their customers. A further implication is that content of different domains in Internet and TV formats will be increasingly blended on the same screen — from news information and education to entertainment and shopping. In a highly remarkable merger in sight, AT&T is planned to acquire Time Warner for $85 billion. The deal between the parties is already agreed, but approval by the American antitrust authority is still in question (peculiarly, a political matter is also involved because of the bitter dispute between President Trump and CNN owned by Time Warner). This merger would combine the competencies of Time Warner mainly in content (including production and broadcasting) with the telecommunication infrastructure and services of AT&T in Internet and wireless (‘mobile’) communication. It should allow the integrated corporation to reach a wider audience with a richer and greatly varied content on screens of TV sets, personal computers and mobile devices. Time Warner holds a broad and impressive portfolio of TV channels, production units and digital services for delivering their content. The most famous brand is probably CNN which includes its American and International channels. But Time Warner also owns HBO for TV programmes and Cinemax for cinema films, both available to subscribers by streaming. In fact, Time Warner also owned in the past the AOL Internet company. In 2015 AOL moved hands to Verizon telecom company, and just within months Verizon also acquired the troubled Internet company Yahoo. The expansion of Verizon is yet another example of an integration of telecom infrastructure and services with digital content capabilities, but it does not have yet a strong TV presence. Time Warner spun off its print arm of magazines in 2014, identified now as the independent company Time Inc.. Some of its better known magazine brands include the Time magazine of current affairs and Fortune magazine of business affairs, but overall the company publishes magazines in various areas of interest (e.g., entertainment, fashion & beauty, photography, home and design, as well as politics, business and technology). The Walt Disney Company insists on its market position as a predator and not as a prey to technology companies. Its current objective is to bring more premium TV channels directly to consumers by streaming; that may entail the purchase of desired brands (e.g., Pixar, Marvel, ESPN). Comcast, a telecom company (cable [TV] and broadband), is also the owner of TV networks or channels (e.g., NBC and MSNBC), as well as film and TV studios. It may not sit idle and may try to take over another telecom company to complement its coverage (e.g., extending to wireless). 21st Century Fox (cable TV, films) is claiming to have no plans of expansion and entering into new areas. It previously failed to acquire Time Warner (2014). But the recent AT&T-Time Warner deal may change their plans. (The Murdoch family is currently aiming to take full control of UK-based Sky satellite TV). CBS and Viacom engage together in TV broadcasting, a cable TV service, and TV and cinema productions. The controlling owner (Redstone family) may now be encouraged to unite the sister companies (once again) into a single corporation. We should not rush to assume that watching TV programmes on a TV set or watching programmes in real-time are about to end anytime soon. Traditional live TV viewing and digital video viewing are complementary, possibly preferred on different devices at different times and in differing circumstances (eMarketer, 14 March 2016). There may be personal but also social benefits or incentives to watching programmes or films in the ‘old-fashioned’ way. First, enjoyment and visual comfort, particularly for certain types of video content, are expected to be greater when viewed on a large screen (37” and above). Second, there is real value in watching a programme such as an episode of a popular TV series at the same time with others so that one can share impressions and discuss it with acquaintances the next day or right after the show. A similar argument can be made for watching live a sports contest, on top of the thrill of watching the event as it unfolds. Third, there is still pleasure and enjoyment in watching TV together with family or friends on a large TV set at one’s home (and in some cases in a pub or bar). The new technological developments in distributing and displaying video content in high quality, offer opportunities for consumers to improve and enrich in several ways their experience of viewing TV programing and other types of video content. Consumers would be given more freedom of choice and flexibility to watch TV as they truly like. Companies in the wide spectrum of media, telecom and Internet may also find new business possibilities to enhance their services to customers, including in particular TV-like content. But it will take more time to see how the TV domain shapes-up. For the past two years the Internet company Yahoo is under immense pressure: The management led by CEO Marissa Mayer, in office since 2012, is working hard to reinvigorate the core online business of the company with new up-to-date technologies; and furthermore, creating more value, mainly from advertising. The board of directors is seeking to give management more time to find a way out of the difficult times, however it is struggling to fend off pressures from activist investors who demand a break-up of the company in order to salvage the real value they see captured in Yahoo through its stakes in external companies — Alibaba of China and Yahoo Japan. Yahoo is in a delicate and complex situation, carrying a danger that consumers-users will be left behind in the final business outcome. The key criticism of Yahoo concerns the poor performance of its online advertising system, lagging behind other platforms such as Google (search) and Facebook (social media). The core business of the company entails its search engine and media (news in various domains), acting as sources of income from advertising (e.g., display ads, sponsored results). Display advertising is now active also in Yahoo’s Mail (e-mail service). Underlying the poor financial performance of the advertising system are mainly two problems: (a) inconvenient and technologically outdated utilities and tools for advertisers when placing their orders for online ads (1); (b) a relatively low volume of search queries by Internet users, particularly far behind Google, and insufficient returns by visitors to the different sections of Yahoo websites. For example, according to figures revealed by the New-York Times, only ten percent (10%) out of one billion monthly visitors of Yahoo websites return every day, suggesting weak brand attachment; the reported figure for Facebook is 65% (2). It may start from failing to persuade more Internet users to make Yahoo a start homepage on their browsers. Yahoo may be suffering, nevertheless, from a broader problem of generating income from its online services. That is, the company should not rely only on income from advertising but create additional schemes that can generate income from use of its online services. Yahoo could monetise services, for instance, by charging users on premium plans (e.g., allowing extended storage capacity, more advanced tools or features, increased customisation, access to extended content). Yahoo may further not have a wide enough range of services on which it can charge premiums from registered (logged-in) users. Rightfully, companies are reluctant to ask customers to pay for online services, but that may be an unaffordable privilege, as in the case of Yahoo. Moreover, charging price premiums for enhanced services is legitimate and can contribute to higher perceived quality or value to consumers. The complexity of the situation can partly be explained by the claim of investors that a greater portion of market value of Yahoo arises from its stakes in Alibaba and Yahoo Japan than from its own activity. Yahoo originally (2005) had a stake of ~24% in the Chinese e-commerce company Alibaba. Shortly before an initial public offering (IPO) of Alibaba in September 2014, that stake was valued $40 billion. During the IPO, Yahoo sold 40% of that stake as agreed with Alibaba to the latter’s requirement. Yahoo eventually collected more than $9bn, available to award shareholders or re-invest in the company (how funds were actually used is unpublished). The remaining stake of Yahoo in Alibaba (~15%) was worth some $30bn in December 2015. Investors thought that not enough value stemmed from Yahoo’s genuine activity before Alibaba’s IPO, and some seem to believe that is nonetheless apparent after the IPO. 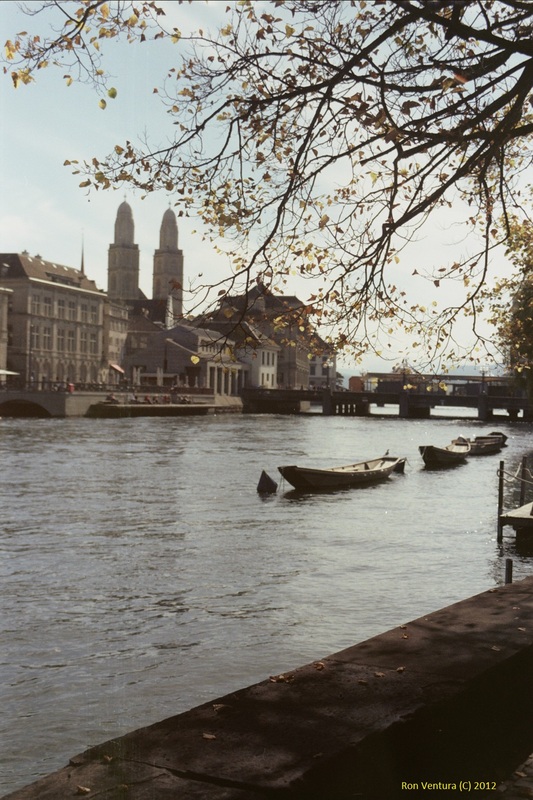 The first two years of Mayer as CEO enjoyed a sense of improvement and optimism. Until the IPO of Alibaba, Yahoo acquired more than forty technology companies to bring fresh methods, tools and skills to the company. The share price of Yahoo climbed from a low of under $20 to above $30 by the end of 2013 and reached $50 in late 2014. But after Alibaba’s IPO, tensions with investors, especially the activist ones, escalated as patience with Mayer as well as the board was running thin. The share price also started to decline back to $30 during 2015 (it recovered to ~$36 since January 2016). It must be noted that the board of directors together with Mayer did try to find solutions that would satisfy the investors while saving the core business of Yahoo. One plan considered was to sell the remaining stake of Yahoo in Alibaba but that solution was abandoned due to concerns about a looming large tax liability. Another solution, championed by Mayer, was to put the core media and search business of Yahoo on sale in one piece, but that plan was also just recently suspended as the process failed to mature. The most serious prospective buyer was the US telecom company Verizon; they were thinking of merging the activity of Yahoo with that of AOL, acquired last year, but executives were worried about the company’s ability to pull together such an integration effort in a short time (3). In the second part of this article I examine the display and organization of Yahoo’s websites with a user-consumer viewpoint in mind — visual layout, sections and services on the website, composition of content, links, menus and other objects. The examination is focused more on the content and services Yahoo provides to its users rather than its advertising. Yahoo runs multiple versions of its website in different countries and languages. The major part of the review is centered on the website of Yahoo in the United Kingdom as a pivot exemplar. References will be subsequently made to other versions. Nevertheless, all of the additional websites visited (8) highly resemble the UK website in appearance and composition. Through the examination I intend to argue that Yahoo has not organized and designed the homepages of its website versions appropriately to expose users to, and give them the necessary inducement to access, some of its core services that would also be important sources of income. However, beyond the homepages, I also relate to the ‘portfolio’ of media topical sections and services that comprise the websites. Two services of Yahoo are primary assets: the search engine (Yahoo! Search) and the e-mail service (Yahoo! Mail). Both follow the company’s website in substance from its early days. They are essential components of Yahoo’s brand. The search facility is the gate to the enormous content on the Internet. The e-mail service with its mailbox management utilities is at the foundations of the company’s invaluable customer base. Both have advanced over the years and added features, although there is argument over the nature of progress particularly with regard to the search engine. A third additional asset of Yahoo is the media content of news stories and videos in various domains delivered on the website. On the left-hand of the homepage appears a sidebar with links to services and news topics on the website; a ‘global’ heading bar appears on top of any webpage on Yahoo’s site. As important and interesting as the news media content may be, its preview takes grossly too much space of the homepage. Conversely, the search window for initial queries, while on top, is marginalised on the page, nearly “drowning” in the news content. It sends a message to visitors that this feature is secondary or less to media content. It is little wonder that on-face Internet users perceive Google as the universal search engine (Yahoo has been relying on the powers of search engines of Google and previously Microsoft’s Bing in recent years). The icon-link to the e-mail service is not in a much better position at the top right corner. Even though three links for Mail appear on the homepage — the icon right to the search window, on top of the vertical sidebar, and on left side of the heading bar — none of these positions is central. The allocation of space on the homepage is not reasonably proportional between these three assets. It suggests that Yahoo has become a media company and has practically discounted its two other assets. The sidebar added to the website in the past two years is a welcome contribution as it helps to quickly familiarise with or easily find some key services and news topics on Yahoo’s site. Nevertheless, icons-links for those services and topics could receive better attention and salience in users’ eyes and minds if they were arranged in a central area of the page adjacent to the Search window and Mail icon (e.g., beneath them). It would give Yahoo an opportunity to promote services or topics with a greater income potential vis-à-vis visitors’ interests and utility in using particular services. For example, the online cloud-based service Flickr for storing, editing and showcasing photos is hardly noticed on the head-bar, and if at all on the sidebar (Flickr was acquired by Yahoo in 2005). If site users could also see more instantly and clearly what functional services (non-news) are offered by Yahoo, it might be better understood why there is a Sign-In option separate from Mail. Extra feature-services such as Contacts, Calendar, Notepad and Messenger (chat) are already included in Mail. The news headlines with the snippets (briefs) are useful but those do not necessarily belong on the homepage in that long a list. The ‘ribbon’ of images for selected stories would most appropriately fit on the homepage with a focal story changing on top — that is all that needs to remain on the homepage (with some enhancements such as choice of category) while the additional headlines are delegated to the News ‘homepage’. In the final display of the homepage, a concise and elegant arrangement should include the Search window and Mail/ Sign-In icons, surrounded by a News showcase and a palette of selected services or media topics. A visitor has to look deeper into the website to trace additional services that may be interesting and useful. A few examples: (1) The Finance (news and more) section includes a personalised utility ‘My Portfolios’ for managing investments; (2) On a page enlisting more services one can find Groups (discussion forums) and Shopping. Other features or services on a sidebar or head-bar refer to Weather, Mobile (downloading Yahoo apps), and Answers (subdivision of Search — peer-to-peer Q&A exchanges). When the homepage of UK website is compared with other country and language websites of Yahoo, it is mostly noticeable that some of the links on the sidebar and head-bar may vary, apparently accounting for regional and cultural differences in public interests. Countries may also be affiliated or in co-operation with different local content and service providers. For instance: Italy assigns more importance to Style, Beauty and Celebrity, also having more invested topical sections; France has a section on real-estate (Immobilier) in affiliation with BFM TV); Australia has a TV section affiliated with PLUS7); and in Germany the Weather and Flickr services are represented on both sidebar and head-bar. It is further observed that the sidebar in Yahoo Australia includes many more links than in other site versions. Regarding the US website, some differences can be marked. First, subject titles of appear above each news headline. Second, a reference to the social blogspace site Tumblr appears on the head-bar (in addition to Flickr) — it appears also on the site of Australia but not on the other sites visited (Tumblr was acquired by Yahoo in 2013). Third, the US site chose to mention on its sidebar Shopping and Politics. The Yahoo websites exhibit anomalies implying that the company refrains from promoting some of its own in-house or subsidiary services. For instance, Flickr and Tumblr are sidelined, and the latter is exclusive to just a couple of countries. The ‘Shopping’ product search for attractive retailer offers (powered by Nextag) is more often hidden, and Yahoo homepages provide links to eBay and Amazon. In order to design in practice the most appropriate and effective composition and layout of the homepage, Yahoo may apply usability tests, eye tracking, and possibly also tracking of mouse movements and clicks. These three methodological approaches can be used in parallel or even simultaneously to derive findings that can support and complement each other in guiding the design process. Attention obviously should be paid to visual appeal of the page appearance in the final design. As suggested above, however, emphasis should be directed to the content and services provided by Yahoo as opposed to the advertising space. Notwithstanding, the homepage is just the start of the journey of a visitor on the website. Of course much depends on the quality of services and content in determining how long a visitor will stay on the site. For example, how the mail, e-commerce (shopping), or photo service platform compare with competition. Particularly with respect to the search engine, continued utilisation relies on relevance, credibility and timeliness (historical to up-to-date) of results generated. 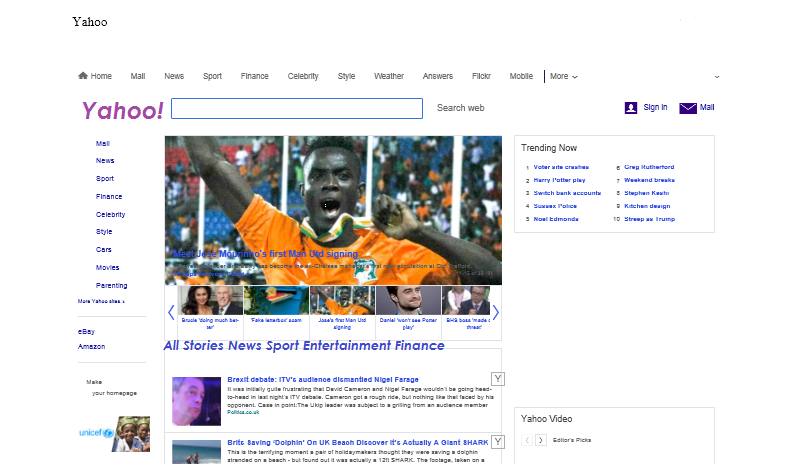 Yahoo provides specialised searches of websites and pages, images, videos, answers, products and more. Yet the company acquired in the past the Altavista engine that was advantageous in retrieving higher-quality and academic-level information sources and materials but it was apparently submerged without leaving a trace; and as indicated earlier, Yahoo has turned to stronger capabilities of competitors at the expense of developing more of their own. Marissa Mayer aims alternately to create a leverage by developing a powerful intelligent search engine for mobile devices in a mobile-friendly site/app. Even though the mobile-driven approach can be a move in the right direction for Yahoo, it may not resolve the suggested problems inherent in the online website, and skeptics doubt that the company has the skills and resources in its current state to accomplish those goals. Yahoo has a lot at stake. It should not rely on users to know how to get to its services independently or to search for their Internet addresses. The site, online or mobile, has to give a hand and show users the way to the services it wants them most to visit and apply, and there is no better place to start than on the site’s homepage. The solutions needed are not just about technology but in the domain of marketing strategy and user-consumer online and mobile behaviour. Yet, looking at how events roll at Yahoo, the decisions made could be driven by business and financial considerations above the heads of users-consumers. The lessons for Yahoo should now be learnt by Verizon as it intends to merge between functions and capabilities of Yahoo and AOL, and probably rebrand them. (1) “Marissa’s Moment of Truth”, Jess Hempel, Fortune Europe Edition, 14 May 2014 pp. 38-44. (2) “Yahoo’s Suitors Are in the Dark About its Financial Details”, International New-York Times, 16-17 April 2016.